One of the heartbeats of Ecclesia has always been to resource and support current and prospective church planters. After all, no single church around came into existing without being planted in some way. Particularly, we are in a season where new kinds of churches need to be started to bear witness to the gospel in the increasingly complex context of North America. 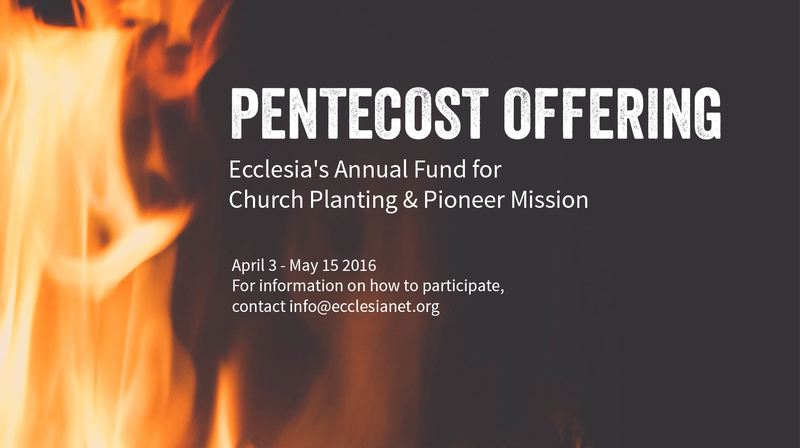 During the Pentecost Season we are launching our inaugural Pentecost Offering to further support church planting and church planters within the network. Be on the lookout for more information in the coming months – especially at the National Gathering in March.